Chicago IL – Declassified Records is proud to announce that Bassist, Composer. 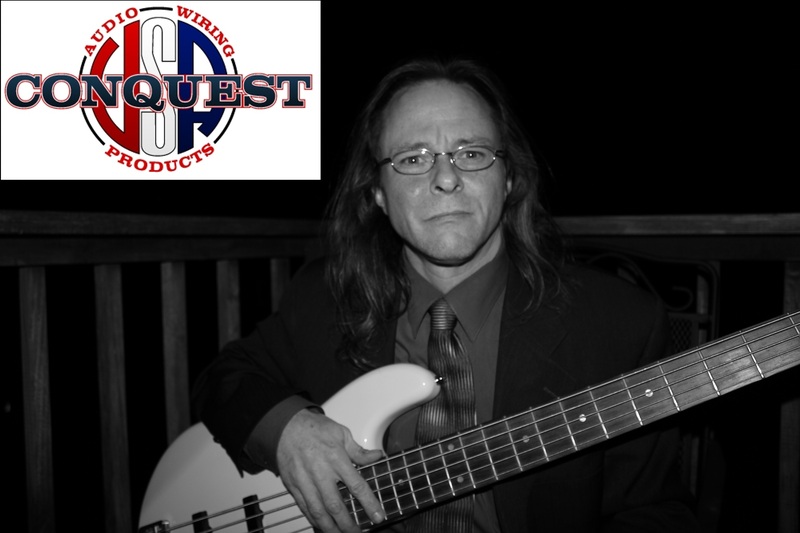 Producer and company founder Jon Pomplin has signed an endorsement agreement with Conquest Sound USA, a leading designer and manufacturer of audio/video/data cable and wiring systems since 1977. Jon Pomplin is most recently known for his work with the band BangTower, featuring Grammy winner Neil Citron, fretless bassist Percy Jones and percussionist Walter Garces. Jon (and Neil) produced the internationally acclaimed 2010 debut record “Casting Shadows”, and the 2013 single “This is My Town”. Jon is currently recording and producing BangTower’s follow-up CD due in 2015. He has produced and directed several award winning music videos including those from BangTower and composed/performed the music for an award winning Independent film. Jon is a BMI publisher and songwriter, a voting member of NARAS (Grammy’s) and is the president of Declassified Records. With over 35 years professional experience performing live and in the studio, Jon also proudly endorses GHS Strings, Rocktron FX, Morley Pedals, EbTech Power and Hot-Wire Basses. Conquest Sound USA has been a leading manufacturer of Audio/Video/Data wiring systems since 1977. 4000+ different products are manufactured at their Illinois facility including Audio Cables, Snakes, Splitters, Patching systems, Wall Plates, Stage Lighting Cables, Video Breakout and custom designs from their Custom Shop Studio. Products carry a lifetime warranty.